When you read this post I’ll actually be back home for about two weeks. I won’t be able to post reviews during this time, but if there are no delays I might have a large item coming in after Christmas and I’ll probably be able to review it next month once I have a free weekend. Not too long ago Bandai announced that they finally decided to reissue the VF-25S and I was lucky enough to get in a pre-order on HLJ. I’m not sure if they can fulfill it but I’m holding out hope that I can find it in a shop somewhere here in Japan. 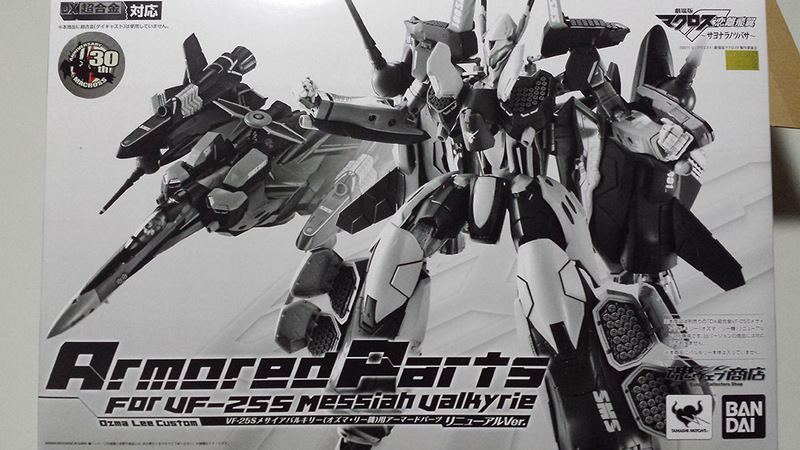 So far I’ve seen the 2nd reissue 25F and the recently released YF-30 in shops several times. Welp, time for another one of those posts where I show a whole bunch of additions to my fast-growing PVC collection, since all I have been doing these few weeks is everything except touching the Sazabi. Seeing it in the mess it’s currently in kills whatever shred of motivation I have for it. I was really ambitious when I started to defile it and my incompetency is disappointing me. 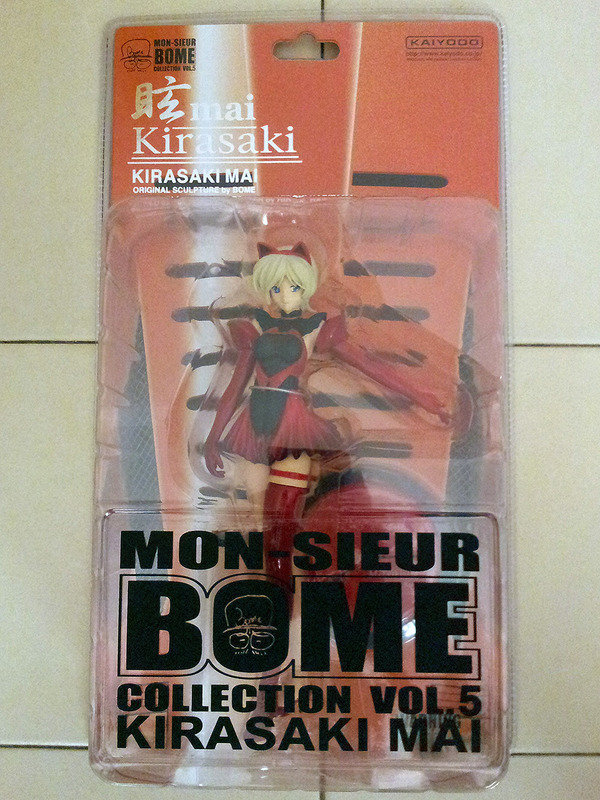 On to the topic proper, I ordered this one from a local distributor when Good Smile announced the re-release. It turned out to be delayed by almost half a year without any notice from the shop and I learnt about the delays from a different shop. I think it was supposed to be out back in December last year and I ordered it in September if I remember correctly. 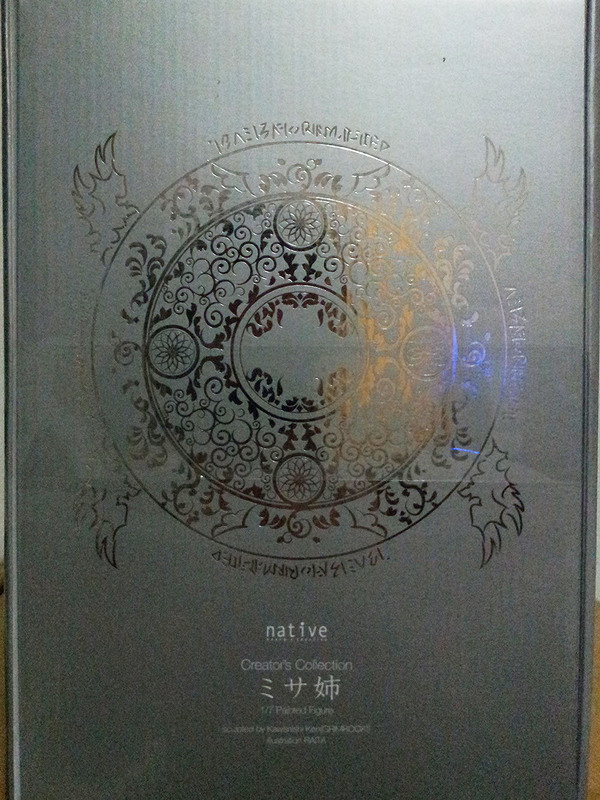 I only received it this May. Some of you may remember me complaining about getting shafted by shipping costs. This statue was one of the few additional items I bought to double my bill. I was actually a bit let down by this one as her eyes looked a bit weird and don’t convey the same feeling as Shunya Yamashita’s brilliant artwork. And apparently the sculptor was really cunning when he did this figure – it appears that she is running her left hand in her hair but if you disassemble the figure she has no left hand. A little creepy but it’s a workaround from sculpting all that mess behind her head. And the two pre-owned buggers – the culprits behind the whole fiasco. Bought them solely on impulse to combine with my existing monthly order only to have them separated due to delays. The pair of bunny girls though were a bit expensive compared to Mandarake. This Bome collection stuff has the absolute worst kind of packaging ever in any product. They occupy a truckload of volume and I was so pissed off I decided to open them which meant destroying the packages and even the display base was glued to the card just like a pack of batteries or something. The worst part was one of the bunny girls’ legs had the paintwork stuck on the freaking twist ties holding them. I was really disappointed and wanted to slap myself for not thinking with my head when buying all these things. 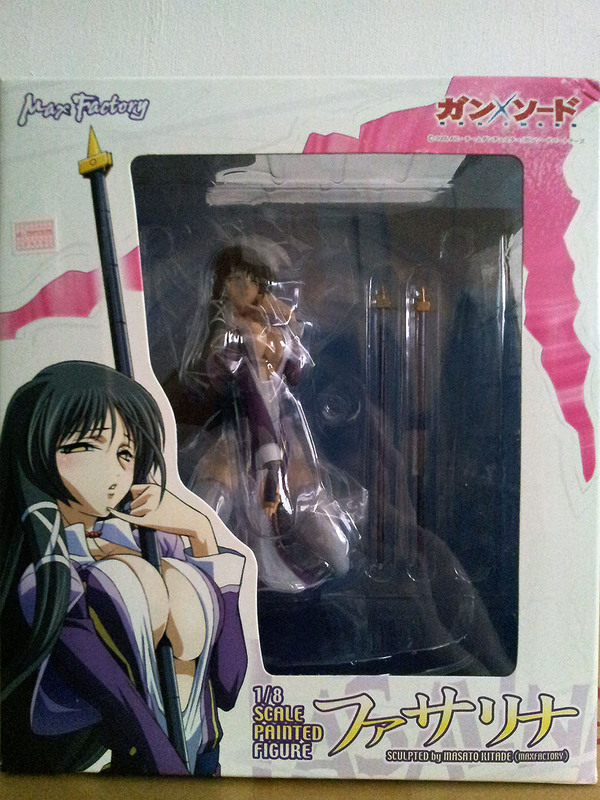 And this one came in a separate shipment from Mandarake. Wanted to buy all the Bome girls from Mandarake since they had the best prices but they were spread across different stores until I came across the one below which I had been hunting high and low for and happened to be in the same store as this one. I mentioned back then about Jungle selling me the wrong figure. 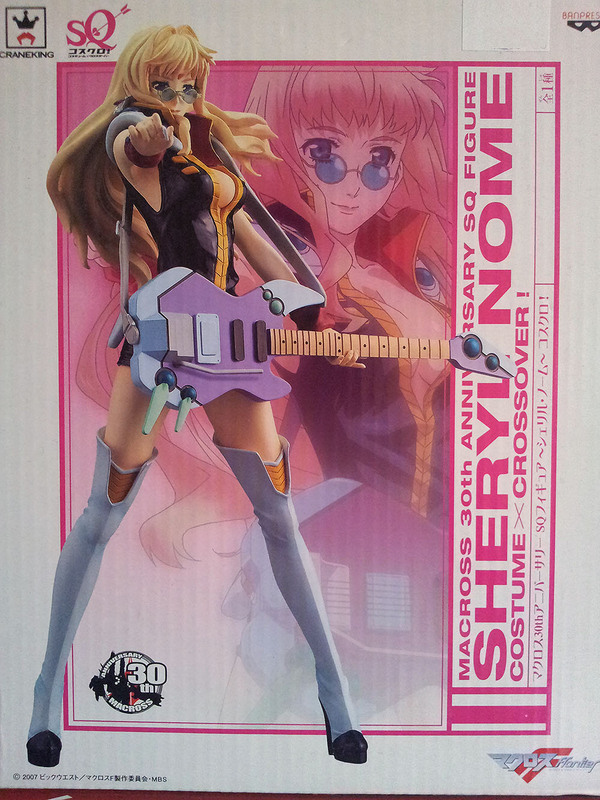 Well I finally found it on Mandarake and quickly pounced on it. I really hope that at this point I’ve pretty much completed my collection of old figures. Heh. And now for the new ones. Got these two big lovely ladies real quick. Mai is supposedly 1/7 scale but she appears quite tall. She isn’t cast-offable so some people are quite disappointed. It seems there is a massive hole right in the middle of one of her breasts for her scanty clothing to peg into. The dark-skinned lady is 1/5 scale and is not safe for work. She’s one of my largest (heh in more ways than one) and most expensive figures and occupies a lot of shelf space due to her pose, with her luxuriant hair pooling behind her occupying almost half the area. She has a lovely plush carpet for use as her base, but also seems to have a depression on her breast. I’m not sure whether it’s a quality control issue as I’ve not seen it on other people’s pictures. She has a somewhat glossy finish for her skin which is easily blemished so I’m glad mine is almost flawless. The last 2 exams of my uni life will be on this coming Monday and Tuesday. With that said I mostly stopped caring about them already and haven’t really studied much this past week now that our hellish design project is finally over. It’s not helping when you see other people going for all sorts of outings this week. I myself joined a simple celebration so yay I’m not some lonely sociopath or something. I had this entry languishing in my drafts folder since my previous post on them, so I thought it would be a good time to post it today. After Tuesday I will finally be free of academic burden except for the uncertainty of receiving results and whether this horrible semester might cost me an Honours tier. Left this picture as it is as I can’t show the packages out of their bubble wraps. I got them from an online shop called Jungle which, like Amiami’s early pre-owned items, had ambiguous ratings for item conditions. Succubus Silvia was quite expensive but had a clear base with an area all scratched and roughed up as though the previous owner used it as a coaster or hockey puck… For the other figure, I ordered a figure which had a similar name but was a totally different figure. They agreed to refund if I took the expense to ship it back to them, but this is supposedly quite rare and was going for higher prices than what I paid for so I kept it. Not going to buy from them again anyway, they never replied my emails asking for clarification until I took it to Paypal and opened a dispute. Finally, a figure which I preordered. With the not-too-recent quality control fiasco surrounding GSC I peeked through the package window to see dark patches on her legs. 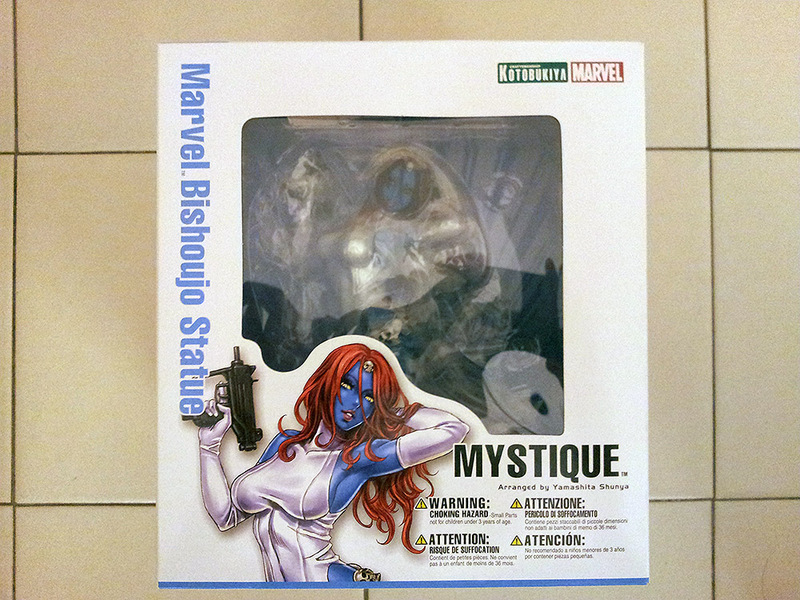 I found out it was due to the mold release oils showing up when the blister presses against the figure. Right now it’s still not opened and I’m not sure if I want to open it. It cost a bomb and no one seems to want to buy it now. Got this from a local shop. It’s a prize figure so it’s really cheap if you buy it online. The shop I went to was known for selling things at higher prices, but it still sounded reasonable to me. Pretended the extra was for shipping charges or something. It’s quite well-made for such a low price. She also seems to be around 1/8 scale and ironically has a box sturdier than many other statue boxes despite requiring some assembly. I think it’s safe to say I’ve gone off the deep end when I buy my first Native figure. 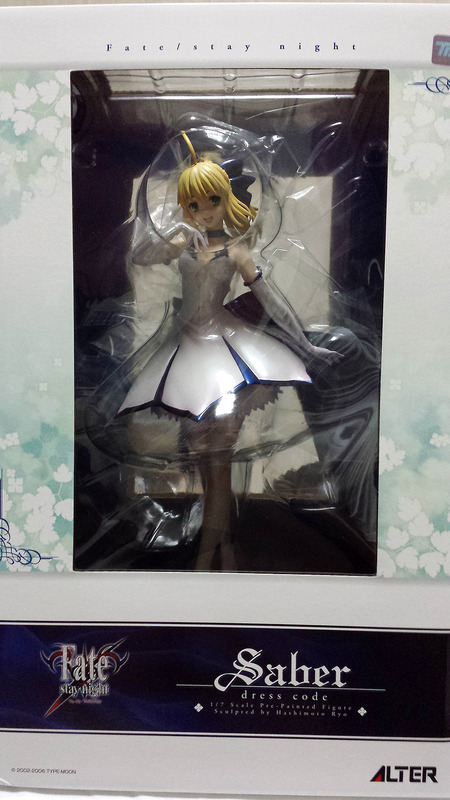 Again, I didn’t preorder it and got it off Mandarake for a slight mark up not too long after it was released. 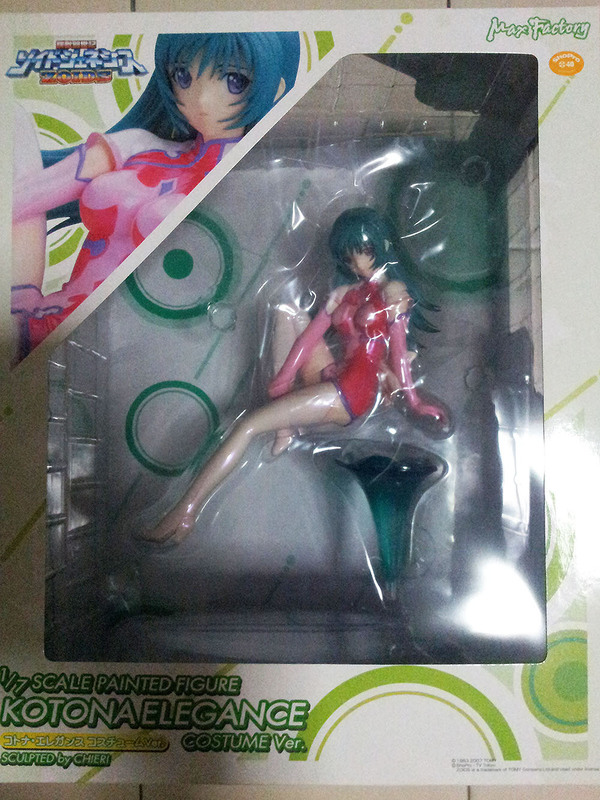 It’s another one of those NSFW figures, and like many other Native figures the price seems to keep rising. Currently Native has their “Gamer Girl” figure up for order. I’m really tempted to order but it will be released when I’m scheduled to fly to Japan so it’s kinda preventing me from actually ordering. I ordered this some time ago as retail therapy. It was supposedly stained but I didn’t care as it was hard to come by and I just paid for it. It took a particularly long time to arrive but it looks quite okay from what I can tell. As of this post I already have 17 figures, out of which only 4 were preordered and most of them second hand. 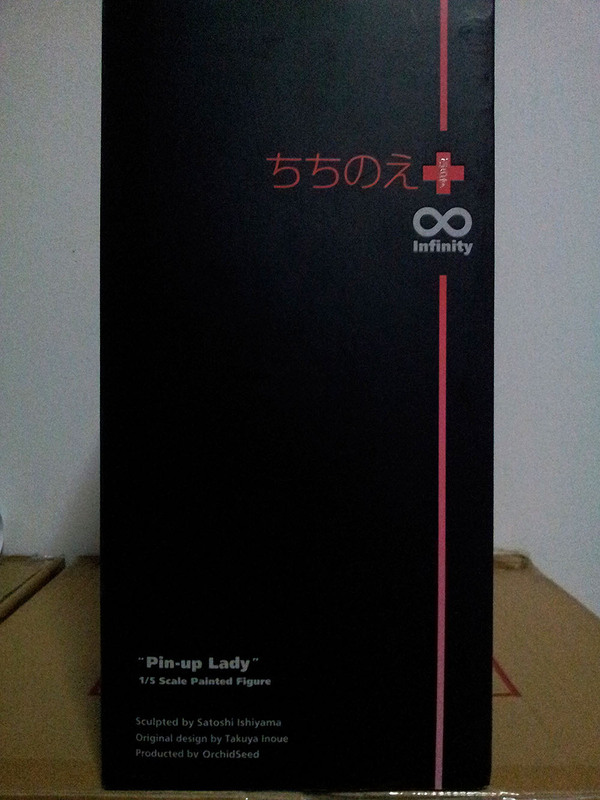 I’ve slowed down on buying the other types of figures so you might see more statue posts in future. I don’t have mad photography skills though so I don’t think I’ll be doing reviews for them. Just wanna clarify that my blog isn’t officially dead yet! It’s just that in future once I start working I might not be able to keep on posting toy-related updates. And on the topic of toys, this week was uneventful. After my hectic schedule and clearing of one major deadline I also managed to churn out an essay quickly on good time and went out on Sunday. There were things I wanted to buy, like the Nyaruko nendoroid or a 1/60 VF-1 toy but everything just felt… expensive. Like figmas and newer statues Nendoroids have also gone up in price; Yamato seems to have gone bankrupt so it’s only natural that profiteers want to jack up the prices of everything that’s left. And the occasional Bandai 1/60 YF-29 going for 525 USD… There were some PVC statues going for surprisingly good prices like Alter’s Dizzy but I didn’t jump… It felt like I wouldn’t be able to enjoy them with the few months I have left, and went home empty-handed. Got this pair off Mandarake in September last year for just over 5000 yen. 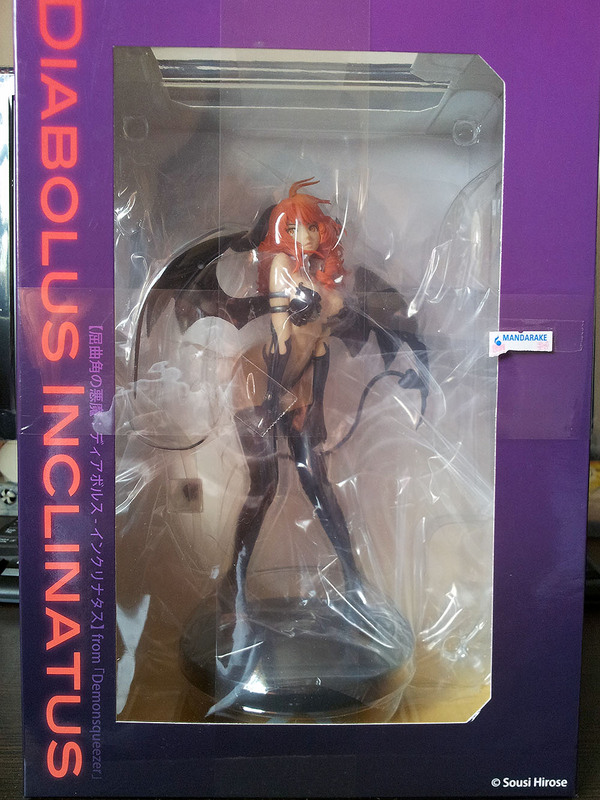 I only wanted Succubus but didn’t want to pay the extra handling fee, so it was double impulse time. 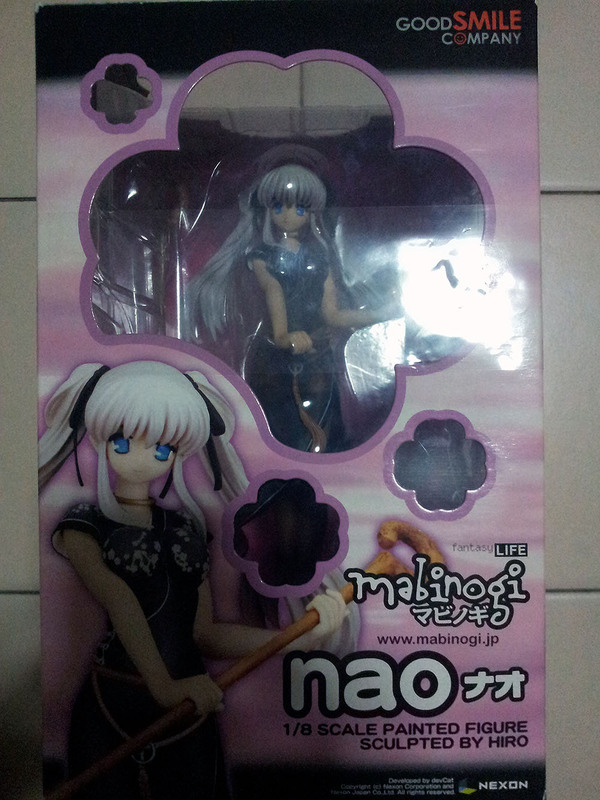 If you look at the sculpt on Nao especially you can tell they are quite dated figures. The Succubus figure was supposedly unopened but the box had yellowed and showed signs of having been cleverly opened. I didn’t mind as the figure itself looked good as new. 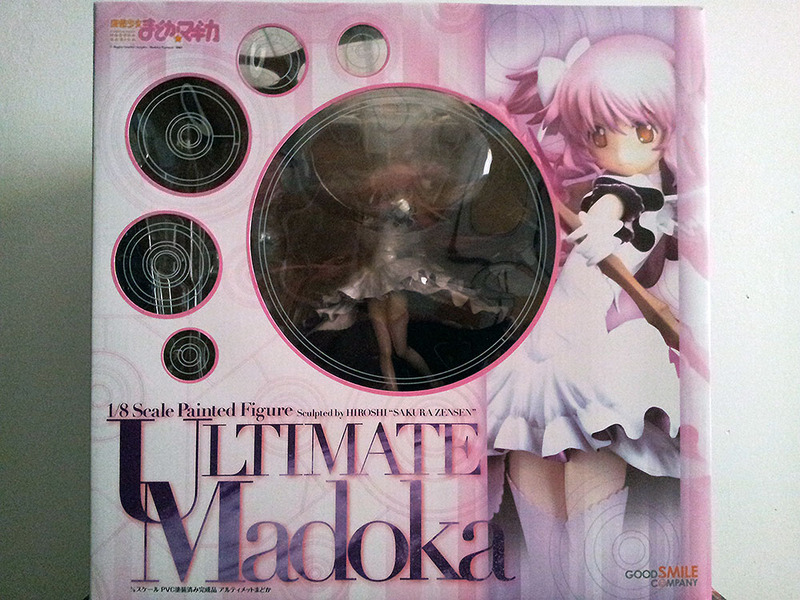 I got this unopened from the used toy section of Amiami for what I felt was a very good price. I just checked the price again and it’s less than a freaking Nendoroid/figma. 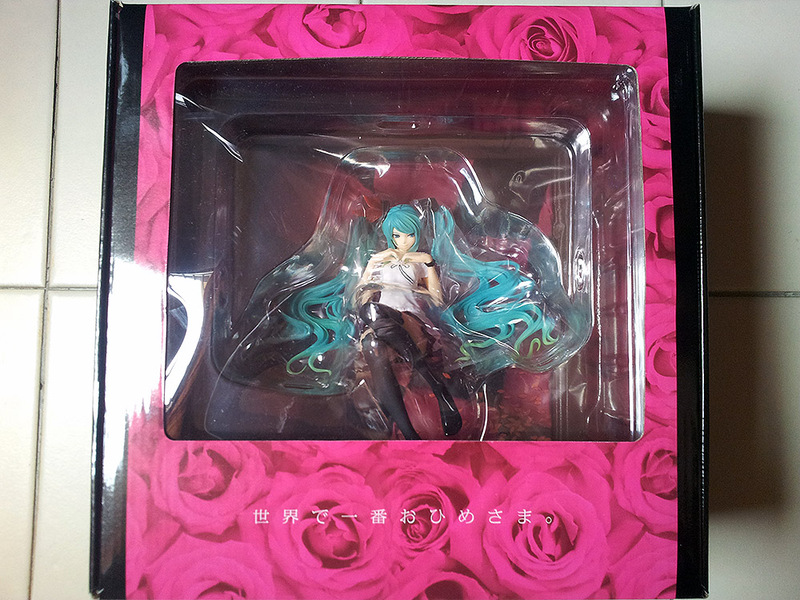 Beautiful figure but the box is freaking huge. By the way I have never watched Zoids before. This is… not safe for work. So unsafe that you can’t see the contents unless you open the magnetic flap. I really wanted it for a long time and it went for a slightly lower price compared to what’s being asked now, so I caved in and got my first outright NSFW figure. This one was in poor condition but I was surprised at how bad it was; the box was damaged and the matte finish had a lot of scuff marks. The figure itself was also stained in several areas but I managed to clean it up. There were some parts that had paint transfer onto the plastic blister tray – for such an expensive figure I was still disappointed at its condition and that there weren’t any protective plastic sheets around those areas of the trays. Some parts of the clothing were also chipped but at least they weren’t visible. All in all it still looks okay, if you dare to take it out for display. There’s more but I’ll leave it for another time. Maybe some of you might need a little time to get over the shock.